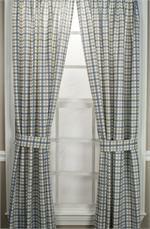 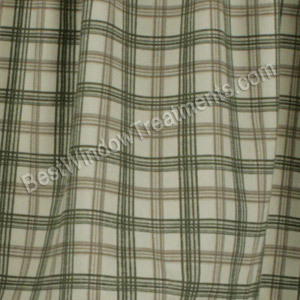 Bristol Plaid M Shaped Valance is available in 2 colors. 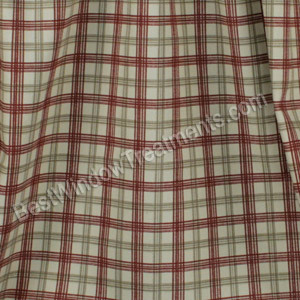 Sewn in the USA. 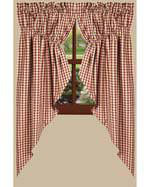 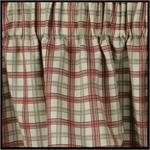 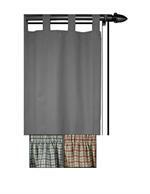 This valance is made from 100% cotton medium weight (7oz) duck and comes unlined. 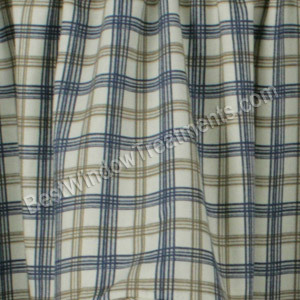 Features a two toned plaid set on a natural, off white background, these charming curtains work extremely well in almost any decor from country chic to beach casual. 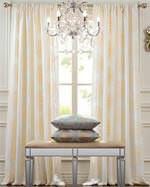 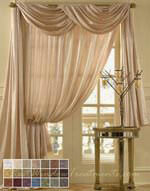 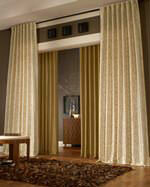 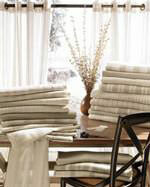 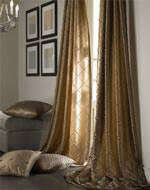 Exclusive CUSTOM Window Treatments available in this Pattern at BWT- Contact us for a quote! 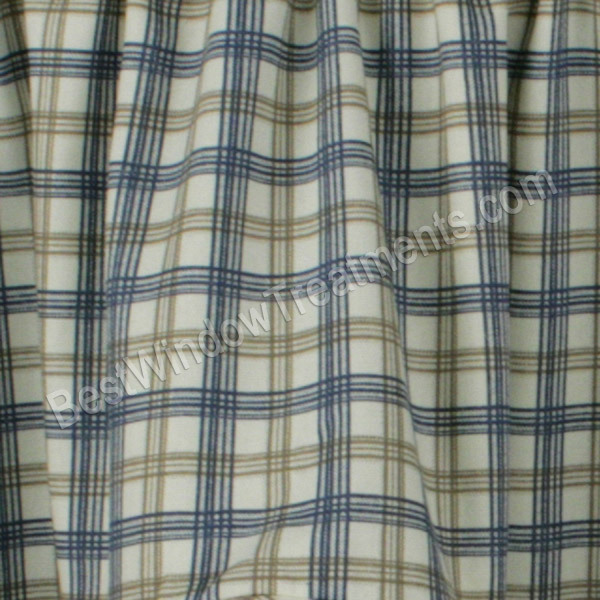 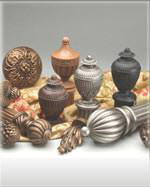 Email us your specifications and we'll email you back a custom quote within 24-48 hours. 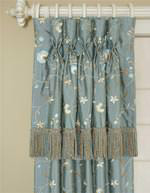 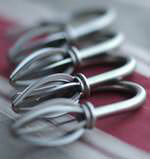 3" header - (fabric above the rod pocket). 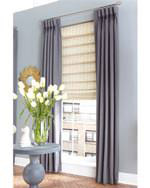 Length measurement above, does not include header. 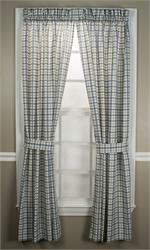 Complete product list includes: Tier Curtains, Curtains with Tie Backs, Tailored Valance, Bradford valance, Empress 2 piecs Swag, Scallop Valance, M Valance, Tie-up Valance, Shower Curtain.